The world is full of celebrities, but how often do you actually get to meet them and spend some quality time with them? Over the past 14 years, I've been privileged to do just that. 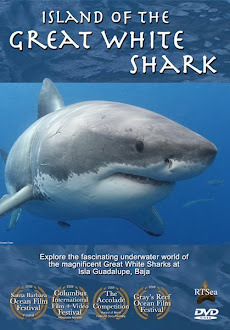 I've met many stars of film and TV at Guadalupe Island. Stars like the incomparable "Shredder" "Bruce" "Jaques" "Lucy" "Scarboard" etc. All of those sharks have been featured in countless shark week episodes and their pictures are all over the internet. They truly are the rock-stars of Guadalupe Island. I have talked about "Shredder" here and "Chugey's" amazing recovery from a huge bite here and here. Today I want to introduce you to "Bruce", another regular at Guadalupe Island. 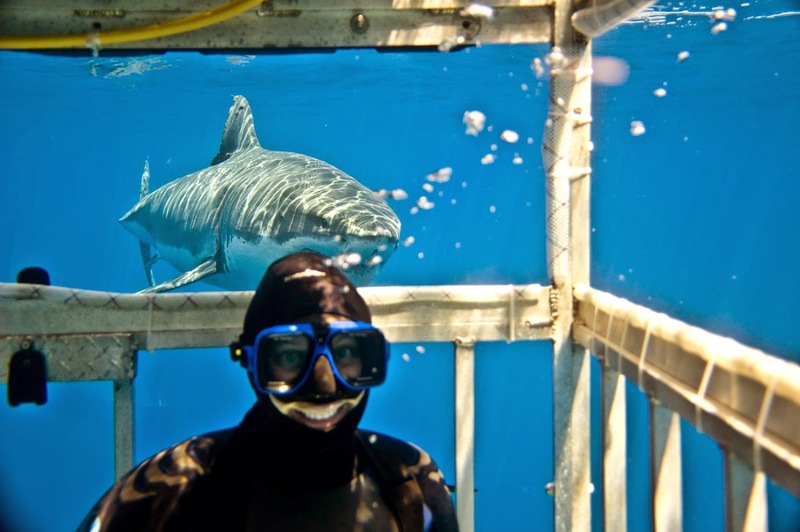 Bruce has been around since we started shark diving at Guadalupe. When we first encountered him, he was just a "little" teenager, probably not much longer than 11-12'. Of course we had no idea that we would see him year after year and that he would grow into one of the larger males at the Island. He is now on the north side of 16' and one of the dominant shark at the site. Bruce is also the shark who got me interested in shark research. I have to admit, that reading scientific papers held about as much excitement to me as watching grass grow. It simply wasn't my thing. When Dr. Domeier tagged Bruce with a satellite transmitter and used some of the data it produced for his paper on white shark migration, Nicole Nasby-Lucas, who works with Dr. Domeier and is responsible for the Guadalupe photo ID database, gave me a copy of the research paper. I started reading it, and realized that this paper was not just a research paper, but more like Bruce's travel journal. It was exciting to find out where he was going, when not at Guadalupe and what he was doing. Who knew that he was vacationing near Hawaii?! I mean, who wouldn't want to vacation there? 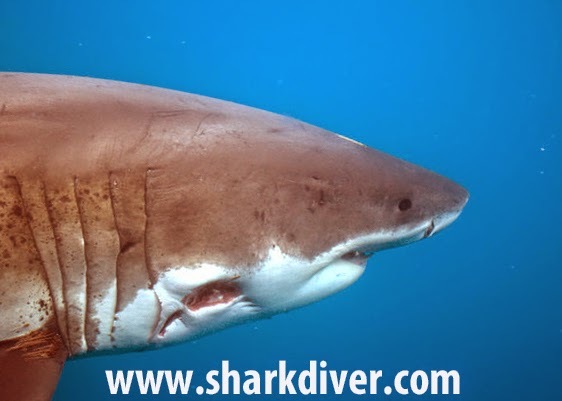 Since we started shark diving at Guadalupe Island, we have met over 160 different individual sharks. Who is going to be back this year? Who is going to make their first appearance? Come join us and find out! This is your chance to meet these celebrities up close and personal. They do pose for pictures with you! Next time you watch shark week, you can say, "Hey, I know that guy!" We run our trips from August through November and have a few spaces left for this coming season. We even have a couple of spaces open on our research trip on November 11. On that trip you'll get to meet the researcher who knows all about those sharks, Nicole Nasby-Lucas, along with all the rock-star white sharks of Guadalupe Island. 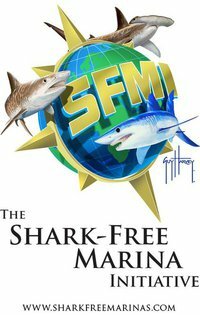 Call us at 619.887.4275 or email staff@sharkdiver.com for more information.